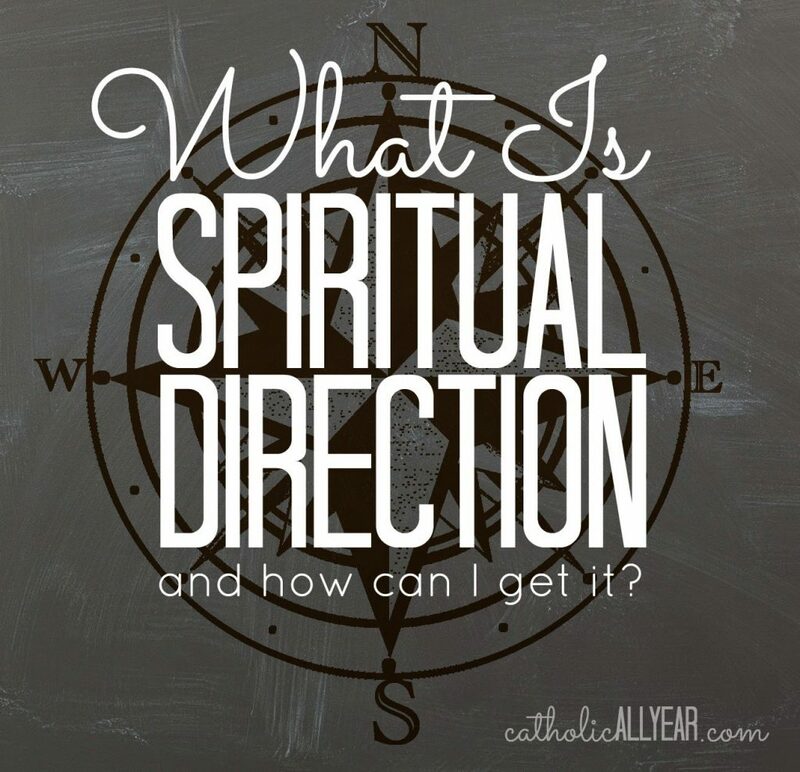 What is Spiritual Direction, and How Can I Get It? There are a few mailbag questions that keep popping up again and again, but this is the one I get the most frequently. I reply privately to many mailbag questions, but I think it’s time to put this answer here on the blog, in case it would be of interest to anyone else. Spiritual direction is getting good advice from a Catholic you trust. Period. Spiritual direction can be given by a priest, a member of a religious community, or a lay person. It can be used to help a person discern a vocation to religious life, but it can also be used by married or single people who want to grow in their faith and make good decisions in their personal and professional lives. In many ways spiritual direction, especially when given by a priest, is like an extension of the counseling a penitent receives during the sacrament of penance, but without the line of people waiting outside the door for their turn. I have had different types of spiritual directors, and they’ve been good in different ways. I’ve seen a couple of different priests, I’m seeing a priest now, but I have also met with a mother of nine. She was really helpful with family stuff, but I have ended up preferring a priest in general. A bonus of seeing a priest is that I can have confession alongside spiritual direction. But anyone whose opinion you trust and respect can be your spiritual director. The person doesn’t have to have taken vows. Of course, you want to be careful to find someone who is going to give you advice that’s both practical to your state in life AND faithful to the teachings of the Catholic Church. That’s not always a given, no matter where you’re looking. A quick, insider way to know if a particular priest is going to be a good spiritual director is to look at how often he offers confession in his parish. You want to find someone who has a love for and devotion to ALL the sacraments, including confession. And time spent hearing confessions and giving advice to penitents, usually makes for excellent spiritual direction. If you’re wondering where to start your search for a spiritual director, the best spiritual direction I’ve found personally has come through Opus Dei. Spiritual direction is a focus of their organization. Sometimes Opus Dei can be hard to track down. Not because it’s secretive, but because it’s all organized very locally, so it’s not like trying to find a fabric store, it’s like trying to find a sewing circle. You kind of have to talk to people. If you email me with your location, I can see if I can help. The Ignatian order also has a great devotion to providing spiritual direction. But again, it can be any trusted priest, member of a religious community, or lay person. St. John Paul II’s first spiritual director was the town tailor. Not because he was a tailor, of course, but because he was a holy man, living out his faith. A good, knowledgeable Catholic, can help you become a good, knowledgeable Catholic. And can give you support and accountability. Anyway, if you already have someone in mind, whether it’s a priest or just another Catholic mom whose family and spiritual life you admire, then just ask. You can just say you were wondering if he or she would be available to meet once or twice a month and be your spiritual director, to help guide you in your formation and help you make good decisions. If you meet with a priest, it would usually be in a church or other non-secluded place, often even in a confessional. If you meet with a lay woman, it could be anywhere. You can meet for lunch or coffee or, if you’ve got kids, at a playground. , if you’re looking for good spiritual direction advice. At each meeting, you probably want to come prepared to discuss three topics, like “making time for prayer,” “not yelling so much,” “relationship with brother,” or whatever, then you just talk about them. Hopefully she (or he) would be able to give you some ideas of small things to work on until the next meeting, but you are not bound to obedience to your spiritual director unless you specifically take a vow of obedience to him/her. I’ve never done that. It’s worked well for me to have a set date, like every third Thursday at 7pm at the coffee shop. If I have to call to set up a date every time, meetings end up few and far between. 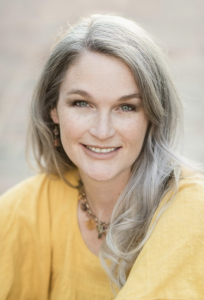 marriage, mothering, and my faith. 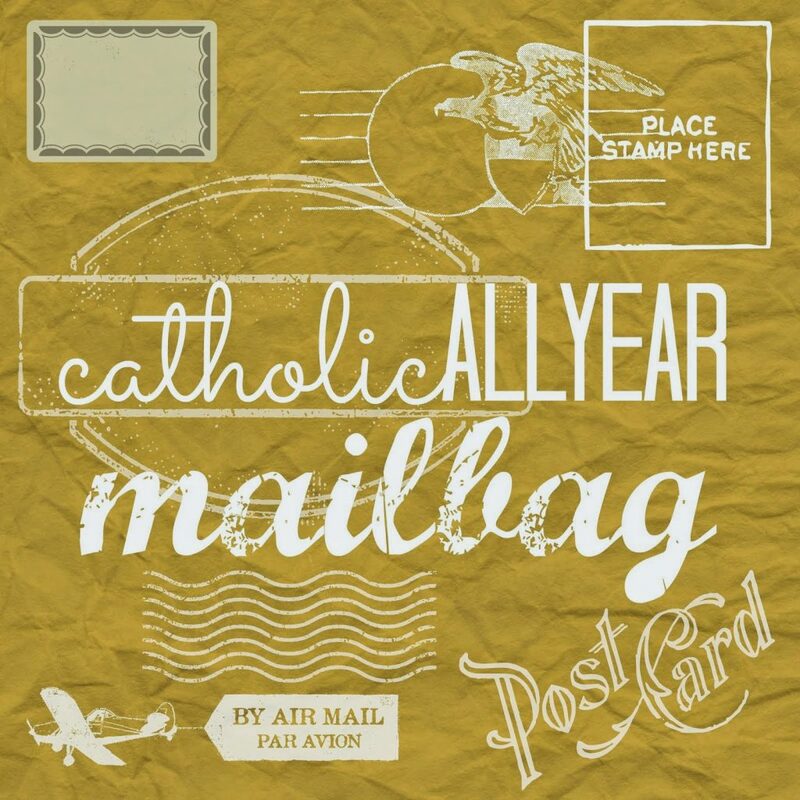 you’ve got a question, please send it along to catholicallyear @ gmail . your question on the blog. So am I right that it isn't normal to pay someone for spiritual direction? They recently started offering Spiritual Direction at my husband's (Protestant) church. Several people in the church apparently went through a two-year training course and got some type of certification to offer Spiritual Direction, and they are charging $50/session. First, I think it's really interesting that there is a sudden interest in Spiritual Direction in Protestant circles (this isn't the first place I've heard it discussed for Protestants; recently it really seems to be a "thing"). Second, I thought the idea of charging for it was a little odd, but it seems it is seen as a type of counseling, especially since these people were trained specifically for it. Is that how it works in the Catholic Church, too? But yes, I imagine the people you mention are basing it on counseling, which it's usual to pay for. I stand corrected. But *I* have never been charged for spiritual direction. You can certainly find it for no charge. I don't think it's any more odd than paying a theologically-educated person to work in a parish. Some people seek out specific training and deserve to be compensated for the level of spiritual direction they can offer. I've learned to distinguish between spiritual direction (as a profession) and spiritual companionship (as someone who journeys with you but has no specific training). I think as our faith continues to grow in different ways in this multifaceted world we need to acknowledge that terminology shifts. I've also come across people who assume all priests are spiritual directors (as in, trained). This is not true (nor is it a requirement for priests). Some may, some may not have training. Some may not be comfortable with it, either. Miles Christi is an excellent religious order that offers Ignatian retreats and spiritual exercises. I know they're in Michigan and California. Check their website for more details. Excellent advice and something that can be of benefit to us all. I have a wonderful Catholic woman who I have thought of as my mentor. I can talk to her about anything family and faith. Maybe she's my spiritual director too. Not the same as an actual spiritual director, but this website is all about Catholic spiritual direction: http://spiritualdirection.com/ . I love this! I went to spiritual direction weekly for almost 3 years just before marrying. I continued for about 6 months in, but then we moved. Since moving we've had two kiddos and I just haven't sought out a new spiritual director. I still do talk to my old one on the phone every few months, but overall I do miss it. It really helped me be more intentional about my prayer life and efforts. Great grab bag, Kendra! Thanks for sharing! Also, when you plan to meet is it something in the evening? Husband watches the kids while you go? or, how do you work that part out? Thanks! I see a priest in the evening after dinner, and the husband takes care of bedtime. But when I was meeting with a lay mom, we met at a park in the afternoon. The kids played and we sat and talked. This is some really good information about getting some spiritual direction. I liked that you explained that it would be a good idea to find someone who can help you. It does seem like a that would help you from getting as frustrated when trying to improve your spirituality. Spiritual companionship or mentoring is different from spiritual direction. And it is correct that not all priests are spiritual directors. I attended spiritual direction with a priest for 3 years until he moved. We either met at his office or at my home (when he usually stayed for dinner) (my kids were teenagers so they helped a little with getting dinner ready sometimes). I went for about four years without one but had good priest friends that could help when needed. But I really missed those regular appointments and that ongoing relationship. I now meet with a lay spiritual director who is certified in the Ignatian tradition. We have met in person initially but we now meet via Skype as he is in another city. Neither of these have charged. There is a Catholic center in our state that offers spiritual direction for a charge. I am discerning whether to train as a spiritual director. Just getting the prerequisites will take me two years (which I have started) and thenthe program itself takes two years. Once I’m done, I am not expecting to be paid for these services (if I discern that this is actually what I am called to. ). Thank you for this post! The Lord and I have been really desiring for me to start spiritual direction again. However, I feel like the Lord is calling me to seek spiritual direction from a Byzantine priest. I was baptized in the Roman rite and have been practicing my faith in the Roman rite. Can I seek direction from a priest from a different rite? I’m not aware of any reason that wouldn’t be okay.